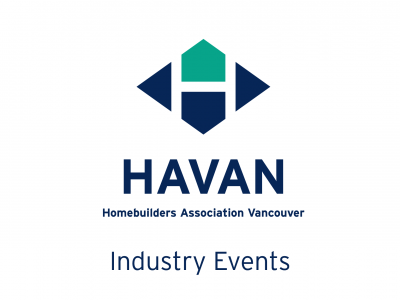 The Homebuilders’ Association Vancouver (HAVAN) is proud to present our spring full-day Building Better Buildings Seminar – A Holistic Approach to Towards Improving Air Tightness with Hamid Heidarali of Hamid Design Build on Thursday, May 23. This full-day seminar will provide builders, architects, designers and renovators with a holistic approach to improving air tightness in high-performance homes. Popular guest speaker Hamid Heidarali, will lead the in-depth and interactive hands-on workshop to provide the industry attendees with a holistic perspective of the overall performance of the building envelope in terms of air tightness. Supported by a 21+ mobile building envelope assembly mock-ups, the workshop will showcase various methods of improving air tightness of wood, concrete, and steel-framed buildings. The workshop will also demonstrate how the presented methods will have an impact on moisture management, energy efficiency, and thermal comfort. In addition, all presented air barrier methods will be explored and reviewed in relation to long-term durability, adaptability to future repair and renovation. With the focus on delivering hands-on and interactive learning, this workshop will prepare the industry for the adoption of BC Energy Step Code. Presented with much acclaim in other areas of the province, Hamid will be tailoring the content to the Metro Vancouver market, providing extensive research-based information and case studies to walk builders through the wide range of methodologies to improve air tightness. 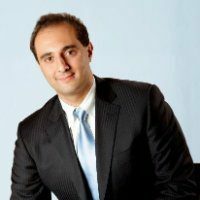 Hamid Heidarali has a strong passion for high performance, durable buildings that minimize their impact on the environment, while providing a superior experience for their occupants. Having worked as a building science consultant on a wide range of projects over the past 15 years in Canada has provided him with valuable insight into building envelope issues and practical solutions. Hamid holds Professional Engineering designation in Ontario and British Columbia, a LEED Accredited Professional in Canada, and a certified Passive House Tradesperson through Germany. He received his Master of Engineering in Building Science and Construction Management, and his Bachelor of Science in Civil Engineering. Hamid is a principal at HDB, a building science consulting firm based in Vancouver, Canada. He is a part-time instructor and faculty at the British Columbia Institute of Technology (BCIT), and teaches building envelope courses to Masters Students as part of the Building Science Graduate Program. He also offers interactive workshops to construction professionals on a regular basis.